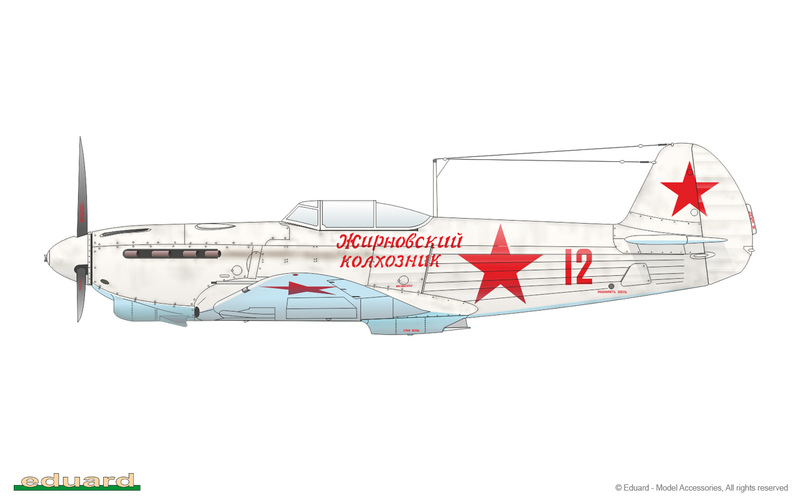 The Yakovlev Yak-1 was a single-seat monoplane with a composite structure and wooden wings. 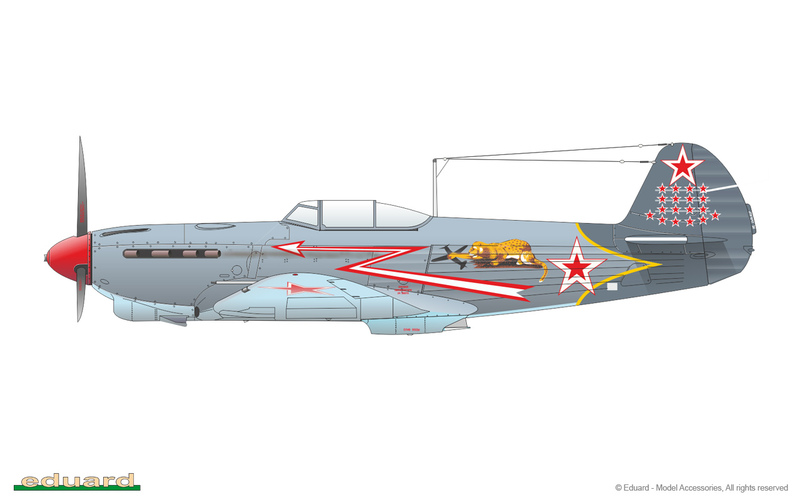 It was extremely maneuverable, fast and well armed plus it was reliable and easy to maintain. 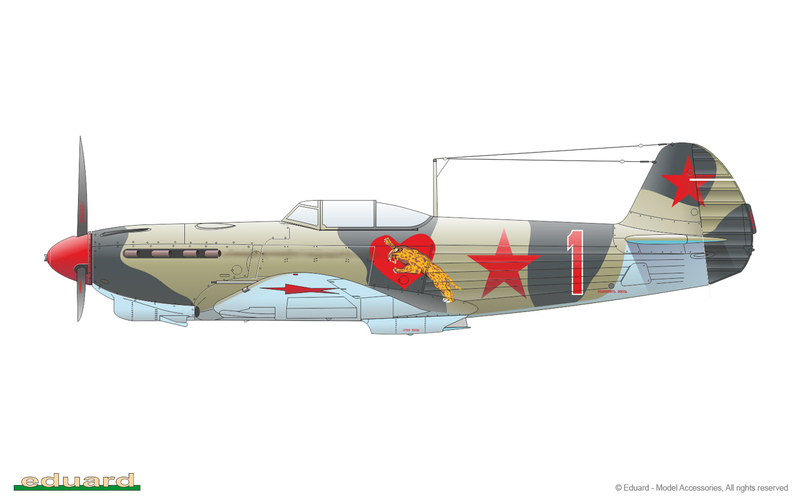 The Yak-1 was truly the epitome of a World War II Soviet fighter aircraft. 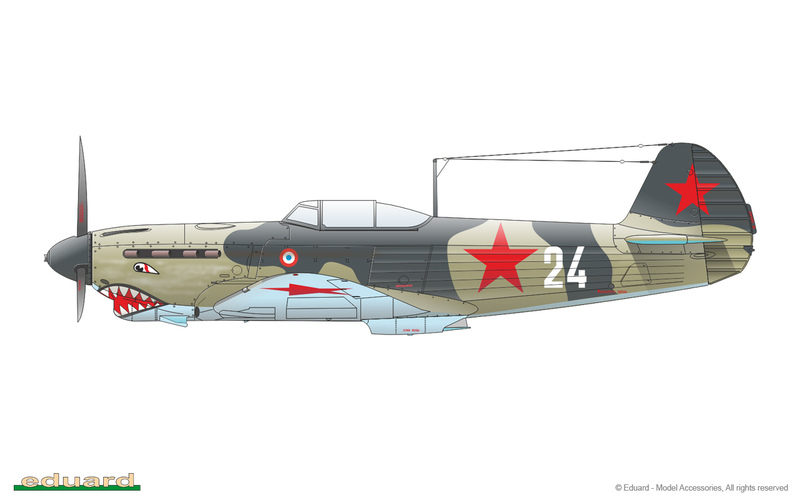 The Yak-1b featured a new bubble canopy with lowered rear fuselage, increased armor, ShKAS machine guns replaced with a single 12.7 mm (0.5 in) Berezin UBS, electrical and pneumatic firing of the weapons instead of the mechanical system, new control stick based on the Messerschmitt Bf 109 design, new gunsight, airtight fuselage, retractable tailwheel, improved engine cooling, and a Klimov M-105PF engine with better low-altitude performance. The "b" was an unofficial designation. 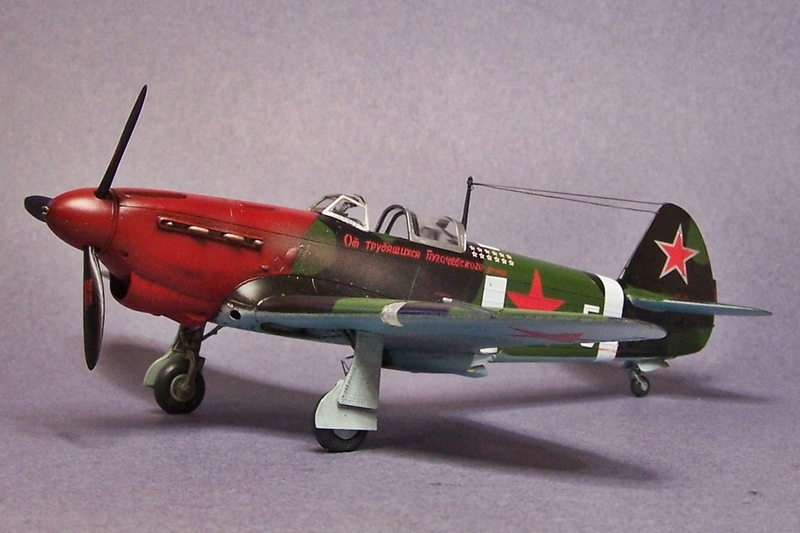 After October 1942, all Yak-1s were built to this standard. 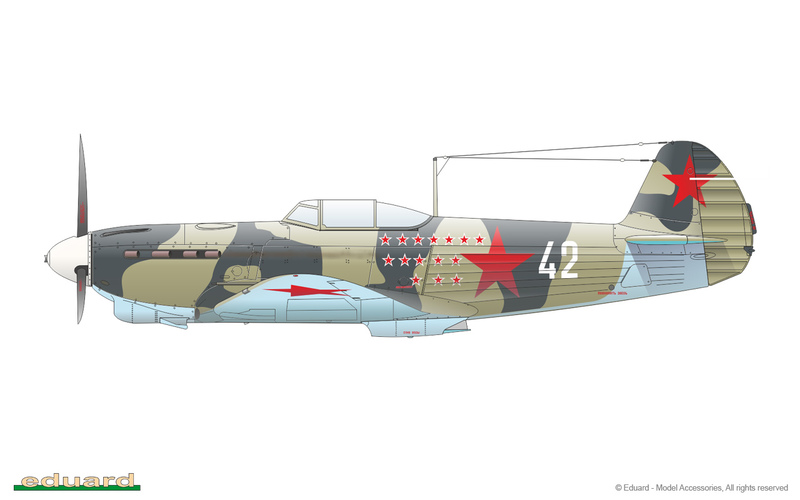 The first flight (aircraft No.3560) took place in June 1942, with aircraft entering production in August. A total of 4,188 were built. 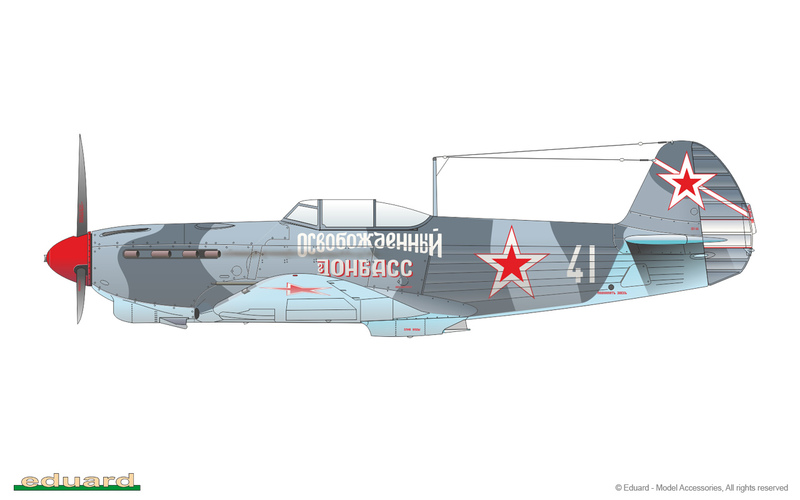 This kit is based on the Accurate Miniatures Yak-1b plastic, and also includes ordnance options, drop tanks, and rockets. 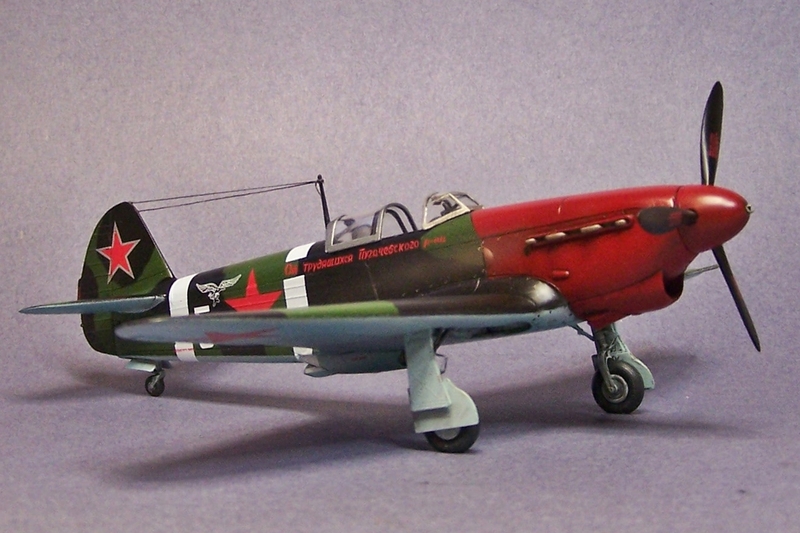 Eduard adds its color photo-etched parts for the cockpit and minor exterior adornments. They've also included masks for wheels and canopies, excellent instructions, nice packaging, and Cartograf Decals. 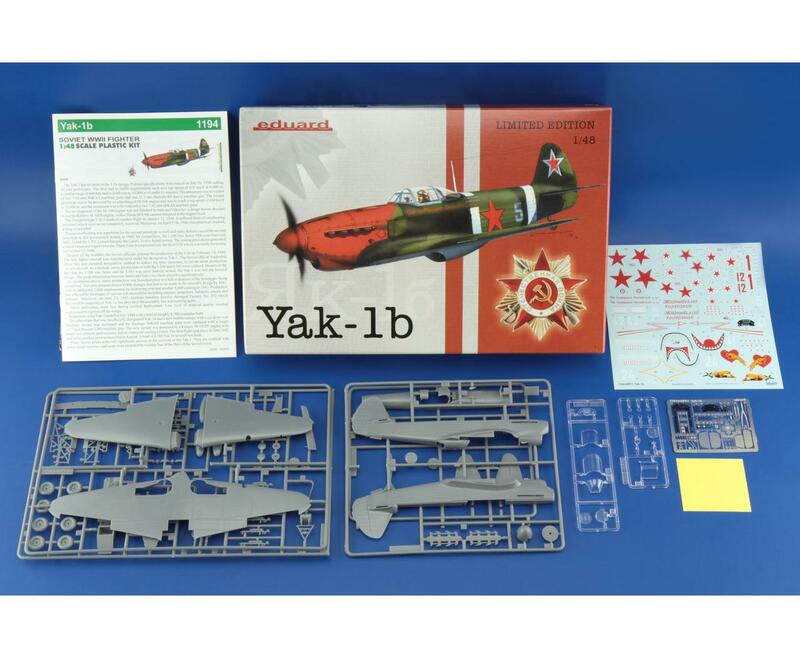 This is a Limited Edition - only 3000 kits were manufactured. 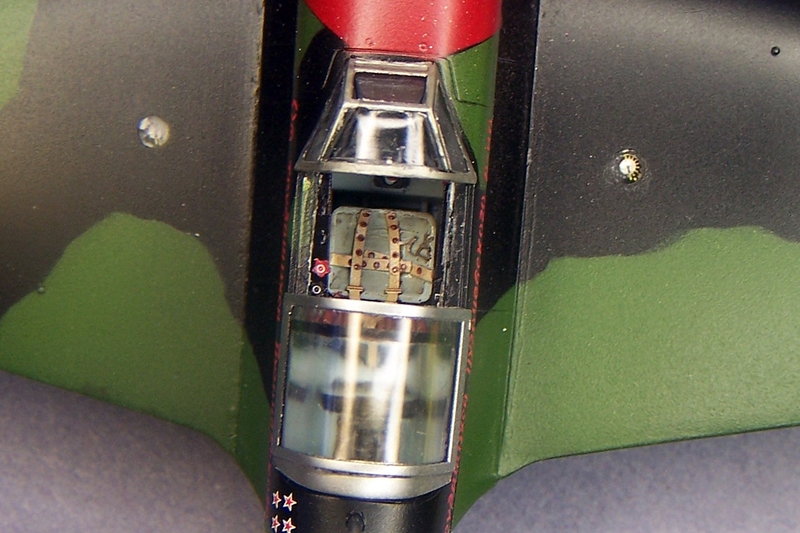 The build is relatively straight forward, however the photo-etch cockpit embellishments were a bit fussy, so lets start there. This really isn't that complicated. I started by removing all unwanted detail from the plastic. I then added the photo-etch rudder pedals, rudder pedal straps and rudder cable horn to the rudder pedal cross bar. 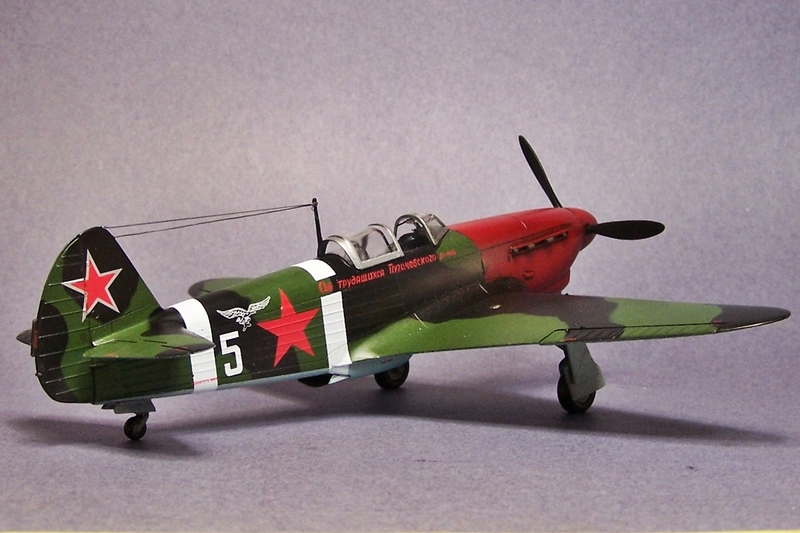 I then attached it to the cockpit floor along with a couple of photo-etch levers and a pump handle. 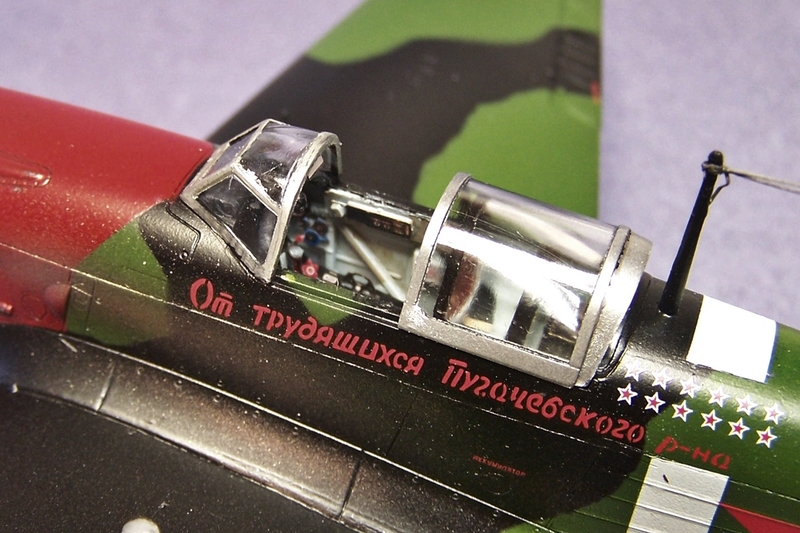 The bottom side of the cockpit has the radiator molded onto it and it receives new photo-etch faces. This is where the fussy part is, but it's not apparent until it's time to fit the assembly into the fuselage. The radiator grill faces are just a touch to big. Continuing on, the seat receives a nice photo-etch harness. The tubular frame is treated with photo-etch trim wheels, control panels, and other smaller bits. The three-piece photo-etch instrument panel has the side-panels attached to the larger piece. The side-panels require a little time and patience because they're loaded with photo-etch levers and knobs, including a trim wheel. Now all this delicate work must carefully be assembled together; tricky but not impossible. Warning, the instructions have you joining the fuselage halves together without the cockpit assembly. In hindsight I would not do that again. The radiator grill faces are a real sore spot and are easily bent. Picking up after the cockpit installation I added a photo-etch radio to the rear deck behind the pilot's seat and moved on to completed the conventional portion of the build. 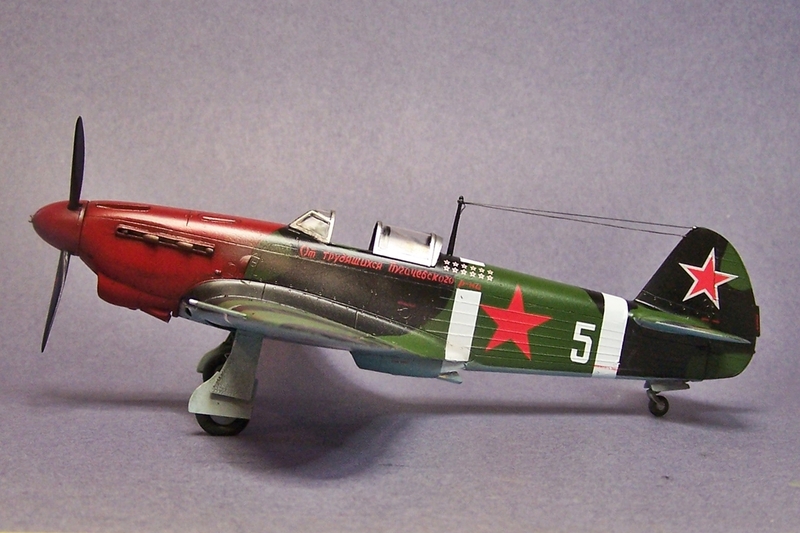 During this process I encountered no problems, in fact, the Accurate Miniatures kit was an enjoyable build. 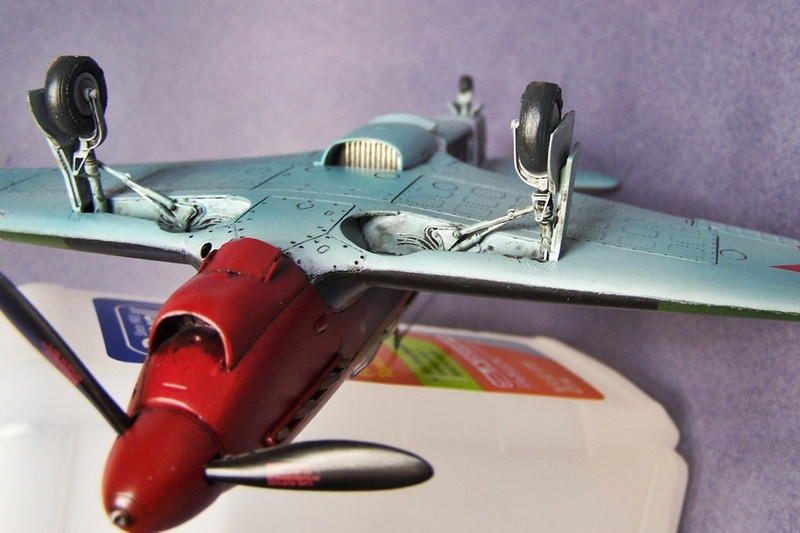 The rest of the photo-etch (landing gear drag links, oil cooler door, radiator door, rudder cable/horn, rear view mirror and fuel gauges) went well too. The fuel gauges are awesome. They fit under a clear disc on each wing. As my luck would have it, while trying to file off a burr from one of these little suckers, the printed detail separated off the photo-etch piece and was ruined. Aside from that, all of these parts look and fit great, and really complement the plastic. The canopy mask fit is okay but not perfect. I applied the decals over a gloss lacquer finish with no problems whatsoever, and they reacted well to Walthers Solvaset. 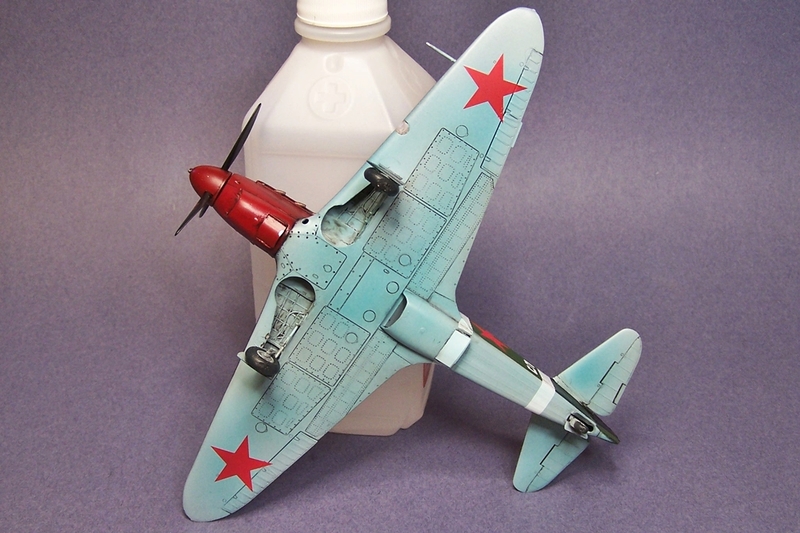 I would recommend this kit to the more experienced modeler. I rate it above average. I would like to thank Eduard and IPMS for the opportunity to review and present such a fine offering.